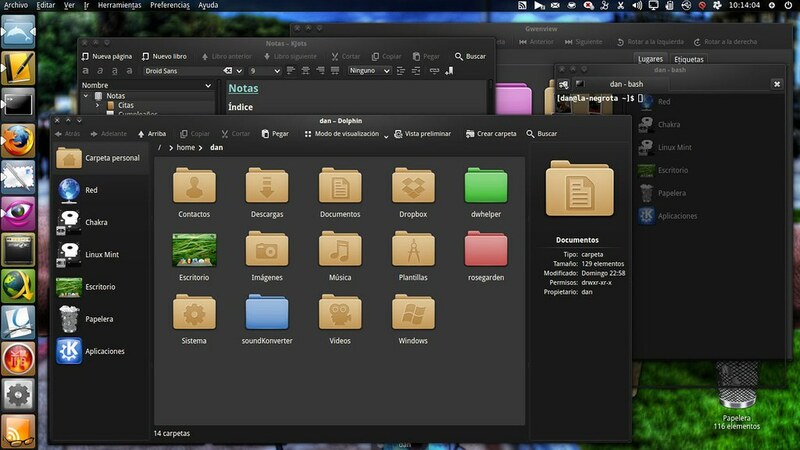 A mac-ish icon theme for KDE made of a mix between Faenza's monochrome icons for action buttons, Oxygen for mimetypes and categories, some modifications made by me for places, MaXo-ReMix for devices and a lot of cool icons for apps. Available in light and dark. Use Gnome-tweak-tool to enable icons or Ubuntu-tweak. No Comment to " Install KFaenzamod icons on Ubuntu and Linux Mint "